Designed by CJ Phipps, the Vaudeville is the third theatre to be built on this site. The current Vaudeville opened on 23rd February 1926 with a revue called RSVP. One of the theatre's major successes was in 1954 with the musical 'Salad Days', starring Julian Slade and Deborah Reynolds. 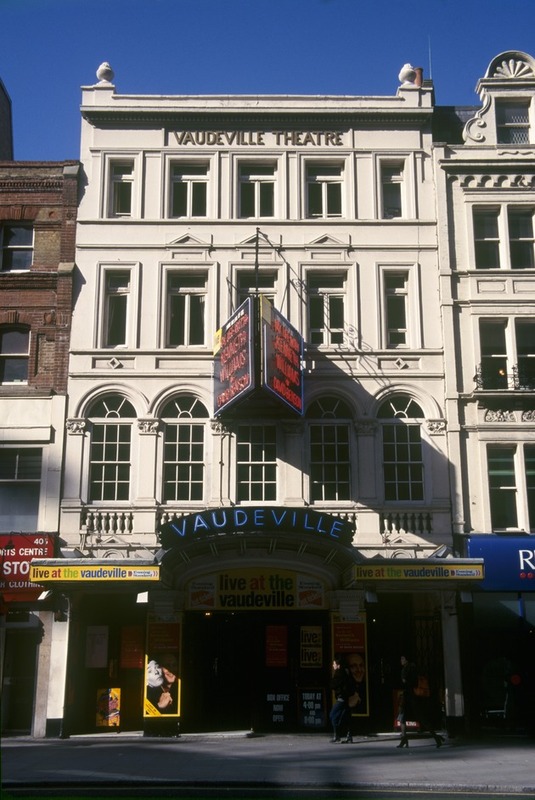 Since its opening, the Vaudeville has presented a wide range of shows, from comedy (Blithe Spirit, Dead Funny, An Evening with Gary Lineker) through melodrama (The Invisible Man) and history (Portrait of A Queen). What are the best dining options near Vaudeville Theatre London? Vaudeville Theatre gyms, sporting activities, health & beauty and fitness. The best pubs near London Vaudeville Theatre. Vaudeville Theatre clubs, bars, cabaret nights, casinos and interesting nightlife. Where to have your meeting, conference, exhibition, private dining or training course near Vaudeville Theatre. From cheap budget accommodation to luxury 5 star hotels see our special offers for Vaudeville Theatre hotels, including Strand Palace Hotel London from 85% off.